Goth Sweatshirt With Detachable Sleeves. This black goth sweatshirt by Punkrave is the ultimate utilitarian pullover. 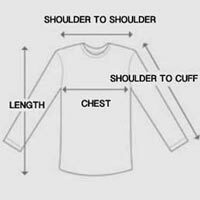 Solid black sweatshirt designed with short sleeves that can be converted into long sleeves with sleeve extensions. Sleeves are easily removable with straps that loop around D-ring hardware. Goth sweatshirt is made from stretchy cotton blend with a heavyweight feel. Shoulders are lined with stunning leather-look panels that form a pattern of pointed scales. Back of shirt detailed with a strip of D-ring hardware that runs down the center. Add the sleeve extensions for punked-out style or rock the shorter sleeves on warmer days. Try this goth sweatshirt for an edgy way to get multiple looks out of one top.